I’m in kind of a crunch right now between back to back trips to Pittsburgh and Cincinnati. So this post will be briefer, and perhaps not so carefully crafted as some. Just thought I’d catch you up on what i’m reading right now and my reactions as I’m in the midst of several books. 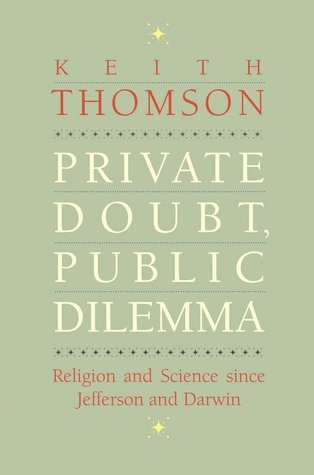 Just started Keith Thomson’s Private Doubt, Public Dilemma, which I downloaded from Netgalley. Looks like an interesting exploration on the religion and science front, exploring cutting edge issues in the biosciences. This is taken from a Yale lecture series. A bit curious why his primary inspirations are Jefferson and Darwin and where that will go. I actually think one of the more interesting American figures to deal with religion-science issues was B.B. Warfield. 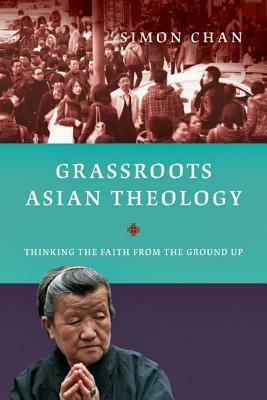 Grassroots Asian Theology: Thinking the Faith from the Ground Up by Simon Chan is trying to do just what the title suggests. He wants to explore Asian contributions to Christian theology, not by listening to academics, Asian or otherwise, but rather the people who make up Asian churches, Christians on the ground in these cultures. What a novel idea. Just getting into it. Chan is a bit of a dense read, but I’m intrigued! 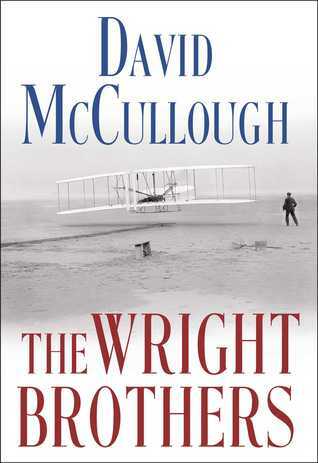 I’ve loved everything David McCullough has written and am finding The Wright Brothers no exception. Interesting fact that I discovered was that the Wright’s spent less than $1000, and all of that their own money, to get the point of putting a plane in the sky at Kitty Hawk. A government project costing $70,000 ended up a terrible failure in the Potomac! I’ll leave you to draw your own conclusions, but McCullough tells a riveting tale! 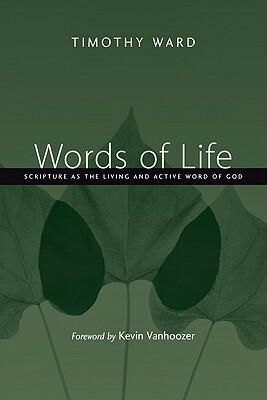 Timothy Ward’s Words of Life: Scripture as the Living and Active Word of God gives a contemporary, yet reformed perspective on the doctrine of the scripture. The novel thing is that he doesn’t start from systematics but from the Bible itself. He also draws on “speech-act” theory, which understands scripture as a type of divine speech act. I’ve seen caricatures of reformed thinking about scripture set up as straw men and destroyed. It would be better for critics to take on thoughtful writers like Ward. 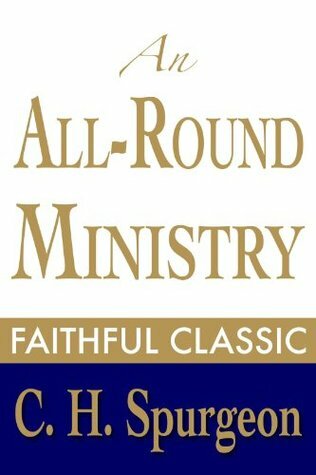 Finally, our Dead Theologians reading group is discussing a collection of Charles Spurgeon sermons under the title An All-Around Ministry. These were given at a series of pastors conferences Spurgeon helped host. They sparkle with wit and contain much wise counsel for any in ministry. That’s what’s on my book stand at present. Stay tuned for reviews at a blog near you! April’s book reviews covered both a significant span of time and geography as well as genre. I reviewed an academic debate on free will from the sixteenth century and a conversation about Christology published last year. There was a decided international flavor to these books, whether it concerned a historical novel of the British campaign in Flanders during World War II, a discussion of immigration, narratives of nonviolent action around the world in the last fifty years, or the last fifty years of African history. I reviewed genres as diverse as Walter Wangerin’s fantasy taking place in a barnyard of animals to Max Planck’s scientific autobiography and essays. I explored both the formation of the inner virtues of faith, hope, and love, and the interesting idea that the complexity and beauty of the world is a profound apologetic for the Christian faith. 1. 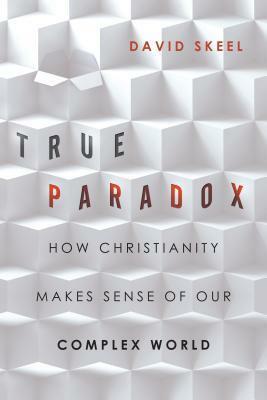 True Paradox: How Christianity Makes Sense of our Complex World by David Skeel. David Skeel argues that far from being a problem for Christians, the complexity of the world is in fact something best explained by the Christian faith. 2. 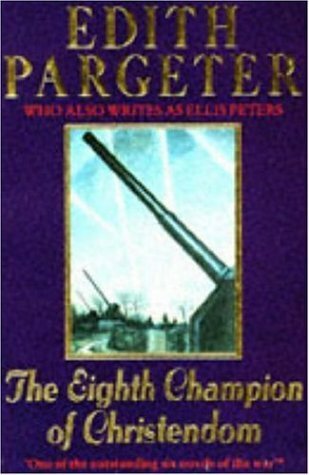 The Eighth Champion of Christendom by Edith Pargeter. A historical novel set at the beginning of World War Two exploring the growing realization of the horror of war that “heroic warriors” face. The plot centers around Jim Bennison, an English soldier and Miriam Lozelle, a Jewish refuge farm holder in Boissy whose husband is away at war. 3. Educating for Shalom by Nicholas Wolterstorff. 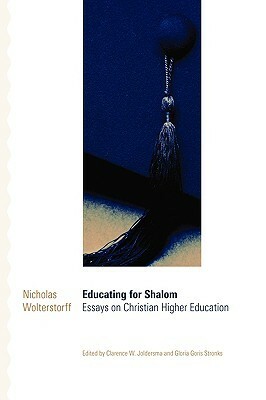 This collection of essays and talks written or given over a 30 year period traces Nicholas Wolterstorff’s journey of thinking about Christian higher education, the integration of faith and learning, and his growing concern that education result in the pursuit of justice and shalom. 4. 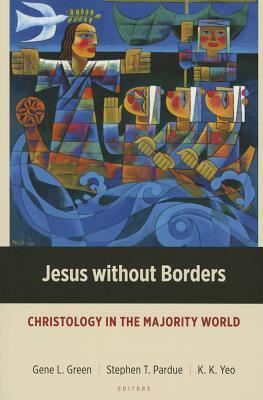 Jesus without Borders ed. by Gene L. Green, Stephen T. Pardue, K.K. Yeo. Eight theologians from different parts of the world came together for a theological dialogue on Christology, engaging the Chalcedonian definition of Christology and reflecting on the unique perspective they bring on Christology from their part of the world. 5. 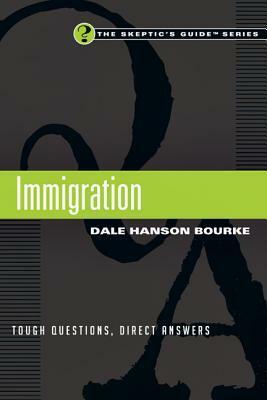 Immigration: Tough Questions, Direct Answers by Dale Hanson Bourke. Third in “The Skeptics Guide Series” and like others in the series it provides a concise overview of basic facts about immigration and discusses the challenges of immigration policy in the United States. 6. Scientific Autobiography and Other Papers by Max Planck. This is a re-issue in e-book form of Planck’s Scientific Autobiography and other papers on some of the “big” issues of science including causality, the limits of science and the relationship of science and religion. 7. 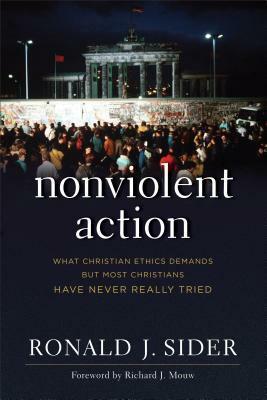 Nonviolent Action by Ron Sider. Ron Sider argues from a number of instances over the past seventy-five years that nonviolent action can work and bring about political change. 8. Erasmus and Luther: The Battle over Free Will edited by Clarence H. Miller, translated by Clarence H. Miller and Peter Macardle. This work is a compilation of the argument between Erasmus and Luther over the place of free will and grace in salvation, excluding most of the supporting exegesis but giving the gist of the argument. 9. 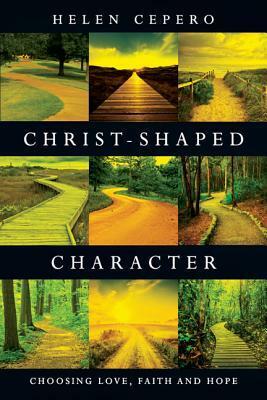 Christ-Shaped Character by Helen Cepero. Cepero, through personal narrative and formational teaching and practices, traces a path of growing to be more who we truly are as reflections of Christ through the embrace of love, faith and hope. 10. 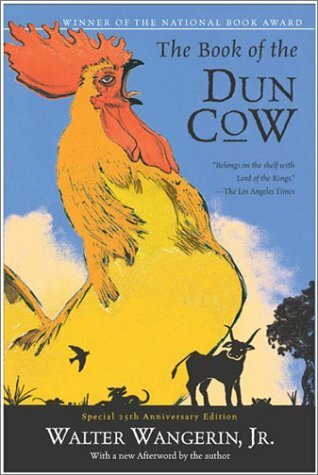 The Book of the Dun Cow by Walter Wangerin, Jr. This modern animal fable portrays a conflict between the beasts of the Earth and Wyrm of the underworld and his evil surrogates, and the heroism of a rooster, a dog, and the other beasts. 11. 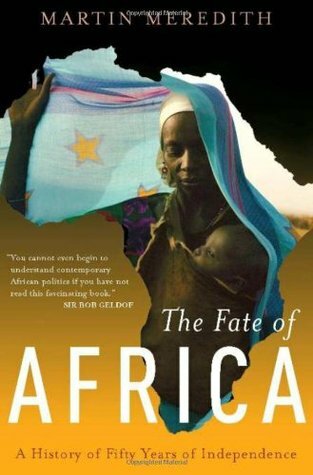 The Fate of Africa by Martin Meredith. Meredith, a foreign correspondent who has made a lifelong study of Africa, chronicles the last 50 years of African history from the hopes of independence from colonial rule and promising beginnings through the heartbreaking instances of corruption, economic pillaging, and various slaughters and genocides including that of AIDS. Best of the Month: This is a tough pick this month, but on the basis of the “I will read it again” test, I have to go with The Book of the Dun Cow. This apparently simple fable has layers of meaning and depths of insight into the struggle of good and evil, and the qualities of character and grace needed to meet that struggle. One of the delights of blogging and the internet is to find oneself part of a global community. I really do hope these reviews are a benefit, whether in finding your next “good read” or in becoming familiar with writers and writing of whose work it is helpful to know more. Scientific Autobiography and Other Papers, by Max Planck, Philosophical Library/Open Road Media, 2014 (originally published in 1949). 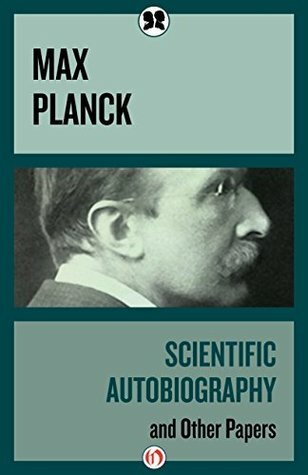 Summary: This is a re-issue in e-book form of Planck’s Scientific Autobiography and other papers on some of the “big” issues of science including causality, the limits of science and the relationship of science and religion. Max Planck is one of the giants of physics. His early work included research on entropy and thermodynamics and it was he who did the pioneering work on quantum theory, for which he won the Nobel Prize in 1918. He also was one of the first to recognize the significance of Einstein’s work on the special theory of relativity and later extended this work. 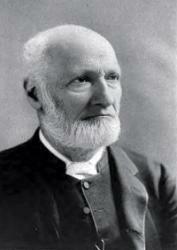 His Scientific Autobiography is just that, tracing his life in science from his early studies with mathematician Hermann Müller, initial studies in physics at the University of Munich, his later studies in Berlin under the contrasting characters of Helmholtz and Kirchoff and his interest in thermodynamics from reading Clausius resulting in his 1879 dissertation on the Second Law of Thermodynamics. After another paper of the nature of energy, he was appointed associate professor of physics at the University of Kiel. Within four years, he succeeds to Kirchoff’s chair at the University of Berlin. He chronicles the various research projects on which he worked, interacting with Ludwig Boltzmann’s work which led to a derivation eventually know as the Planck Postulate and Planck’s Constant, work that laid the groundwork for quantum theory. His narrative describes the back and forth between scientists, the competition and disagreement between theorists and through all this the emergence of theory that illustrates both the collective enterprise and individual genius behind so many scientific breakthroughs. The remaining essays discuss various questions of his time in science. Phantom Problems in Science is his attempt to argue that some of the “problems” people argue about in science actually do not exist–they are phantoms–because they are a created problem that does not actually exist in the real world–he includes as examples perpetual motion, the assumption that some mechanism must re-invert the inverted images on our retinas, the question, is an electron a particle or a wave, and the mind-body distinction (although recent neuroscience might suggest there is more to this than Planck believed). He explores the Meaning and Limits of Exact Science or the idea of “science without presuppositions” that is based on exact observation alone. He argues that the closest we can get to this is what we experience through the senses of our own body and even here we may always draw wrong inferences. What science can do is bring successive degrees of order to these observations, and successive approximations of the “real”. Dealing with causality, he argues that to posit causality involves an act of faith because it is often not possible to verify actual causation of one event by another in specificity, only in general terms.of statistical probability. These papers require close attention and one is aided if one has a working knowledge of physics. But Planck offers an important contribution to the philosophy of science, articulating both its power and its limits. Perhaps the re-issuance of these works in new media (this particular version is only available as an e-book, although other versions are in print and on the web) will be a helpful corrective to both the knee jerk reactions against science and the pretensions of scientism in our own age. God and the Natural World: Religion and Science in Antebellum America by Walter H. Conser Jr. It seems that there are two errors you can make in discussing the relationship of Christianity and science. One is that they have always been at war. The second is that only recently have there been enlightened folk who saw the two in harmonious relationship. This book is a valuable study of a number of nineteenth century American “mediation theologians” who believed it possible to construct a harmonious understanding of the relationship of Christianity and science. The “antebellum” focus of this work points up that with the advent of Darwin’s work, a new situation arose, one which, at least in this country we are still attempting to come to terms with. Many of the names might be unfamiliar to us: Henry Boynton Smith, Union Seminary theology professor, Philip Schaff, the church historian, Charles Hodge, the Princeton theologian, James Henley Thornwell, a southern Presbyterian preacher, Edward Robinson, biblical scholar at Andover Seminary, W.G.T Shedd, a Calvinist theologian influenced by Romantic ideas, James Marsh, U of Vermont college president, and Horace Bushnell, pastor. These figures engaged the challenges to religious authority arising from European biblical criticism, new philosophical approaches to historical study, discoveries in geology and other natural sciences, thinking about the nature of language and how this related to understanding scripture and how faith engaged social and political science, particularly with regard to America’s most pressing issue in this period, slavery. There were several interesting threads I found in this work. One was the influence of European scholarship and Romantic ideas that opened the door to thinking about religion less in doctrinal terms and more in terms of lived experience. The second thread was the effort to find commonalities between theological and scientific methods, such as the focus in Hodges work on the common inductive character to both. A third interesting thread was romantic historical ideals and an optimism about the future, albeit generally a very Anglo-Saxon shaped future. This also is reflected in the very troubling engagement around the issue of slavery where theologians drawing on these sources reached very different conclusions (all of which had racist elements) that contributed to increasing the tension in the fault lines leading to the Civil War. In Conser’s “Epilogue” he notes how the advent of Darwinism changed everything. It led to a different way of defining how science was done that was incompatible with the earlier understanding and to sharp distinctions between supernaturalist and positivist approaches. Even to this day, different models of origins in part reflect different philosophies of science that points up how important our definition of science is in these discussions. It was also striking to me that those more shaped by doctrinal considerations tended to be the forebears of the fundamentalists, whereas those more shaped by Coleridgean romanticism tended to be the progenitors of the modernists. In summary, this was a valuable work for me in understanding “how we got here” in terms of some of the present challenges around science and faith and I find anticipated in these thinkers many of the formulations present day scholars are using, whether or not they are aware of their intellectual antecedents.